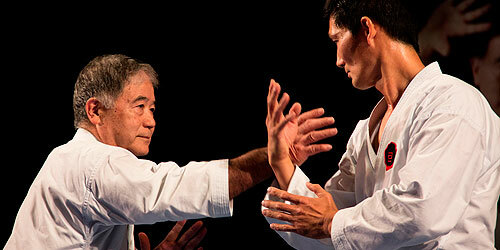 The IOGKF is one of the few karate organizations that the Japanese Government recognizes as a true Japanese traditional martial arts organization. 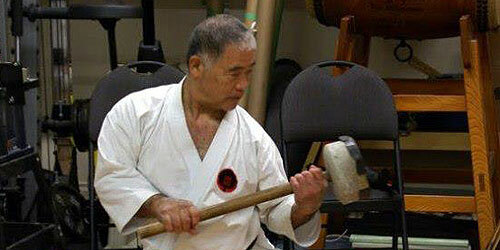 The IOGKF is a proud member of the Nihon Kobudo Kyokai (Japan Traditional Martial Arts Association) . In September 2007, Higaonna Sensei received 10th dan (the highest rank in karate) as well as a special certificate signed by Miyagi An’ichi Sensei (successor of Goju-Ryu) and Aragaki Shuichi Sensei, both of whom are direct students of Chojun Miyagi Sensei. 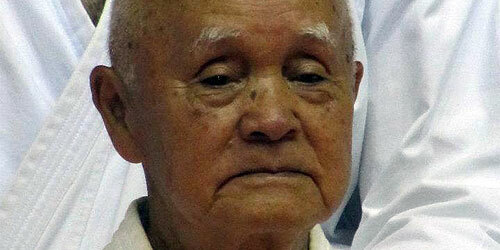 This recognizes him as a successor in the direct line descended from Miyagi Chojun Sensei. Today the IOGKF is as dedicated to its original purpose as it was in 1979. 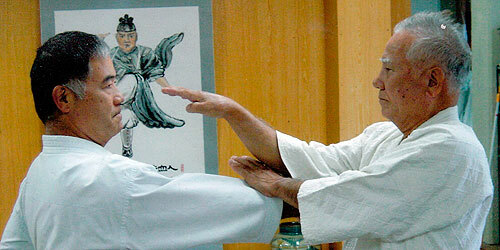 The IOGKF represents the philosophy of Goju-Ryu founder “Bushi” Chojun Miyagi, and with this in mind, Higaonna Sensei reminds us that it is important to dedicate ourselves to the further improvement and development of Goju-Ryu karate through diligent training, so that we may come to understand the very essence of our art. 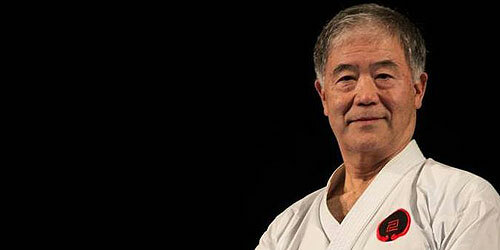 Higaonna Sensei is now the Supreme Master for IOGKF International and Tetsuji Nakamura Sensei was appointed (by Morio Higaonna Sensei) to the World Chief Instructor of IOGKF International.